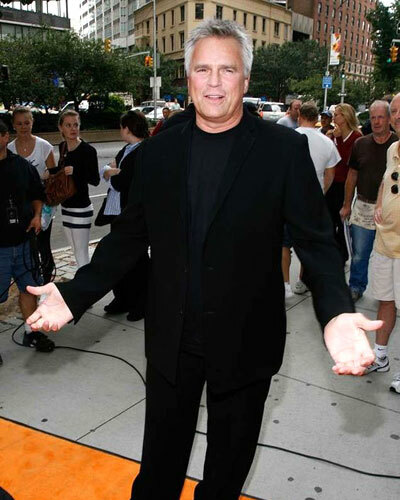 Richard Dean Anderson played the lead role in two incredibly successful TV shows -- MacGyver and Stargate SG-1. He is attending the Armageddon pop culture expo, which takes place in Auckland over Labour Weekend. 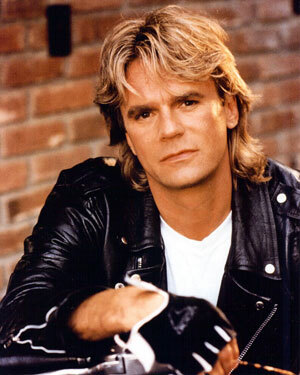 Did you know that New Zealand is totally obsessed with MacGyver? I think the show was more popular here than anywhere else in the world. I love hearing that. That does me some good. It's partly because of something we have called the "No8 Wire Mentality". It comes from being a young country with a pioneering spirit. The idea is you can fix or build anything if you have a piece of No8 wire. Kind of like MacGyver. Oh I love that! I'll have to remember that for sure. Was getting to visit New Zealand part of why you agreed to attend Armageddon? Oh yeah, in great part. I've obviously never been there before and, even if I had, I hear it's a place well worth revisiting. I've had a quiet fascination with New Zealand for most of my life. Do you enjoy attending these sorts of conventions? Yeah. I haven't gotten burned out on 'em. Initially they were a little scary for me just because I don't go out a lot these days. Meeting a group of people like the fans of the show and sci-fi fans in general was a bit of a shock. But I've learned to enjoy the whole experience. There's a variety of people. Some of them have a total commitment to costume and character. They're wonderful to people-watch. That's a fascination I have now. Can you spot the difference between a Stargate SG-1 fan and a MacGyver fan? Usually the science-fiction fan has some indication they're a sci-fi fan, and therefore a Stargate fan. In other words they could be wearing a rubber head or some kind of costume or just a T-shirt that gives them away. The blend is what I really enjoy. They're two different genres and I love 'em both. Is there such a thing as a typical MacGyver fan? No there isn't. In great part because the people who saw the show originally were primarily younger at the time. And now they're all grown up and have kids of their own who are being turned on to MacGyver for the first time. So it's kind of like this wonderful perpetuation. And that's great, I love that. Because the younger the fan I can have, the better. I love talking to kids. A lot of modern TV is so cynical, but there's something so idealistic, without being preachy, about MacGyver. Exactly. In the early days we didn't really know what to do with the direction of the show. But once we all got to know each other and things smoothed out production-wise, we realised that we had some potential influence on some controversial things. But we never wanted to stand on a soap-box. It was always imperative that we entertain first. Well I don't know about that. It stands as the epitome of 80s television in some respects. Are you still in touch with Bruce McGill [who played MacGyver's best pal Jack Dalton]? You two portrayed one of television's all-time great male friendships. I haven't seen Bruce in years. He's really taken off -- he's in every other movie! We had so much fun together, in great part because Bruce is just so downright hilarious. We had a really nice rhythm together. I'll never forget the moment I found out Michael Des Barres [who played MacGyver's unkillable nemesis Murdoc] was also a rock star. It was really interesting to see how he was gonna show up on Monday mornings, or who he was gonna be bringing with him to set. It was really fun. You're quite active in environmental causes these days. In the early days of my doing conventions, that was what I was promoting primarily. We had one whole convention dedicated to the Sea Shepherd cause. Would you say environmental issues are your driving passion these days? Yeah. There are some things going on in my personal life that I'm dealing with and handling, but for the most part it's about charitable involvement. Right now a friend of mine has brain cancer, and for some years I've been involved in an organisation that's helping fund research for brain cancer. Where and When: Armageddon runs from October 24-27, ASB Showgrounds in Auckland. Corry, Dominic. 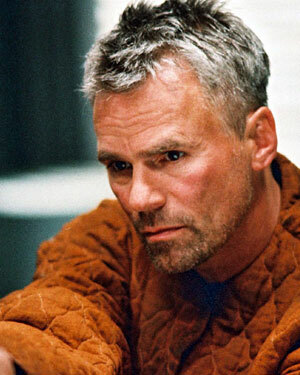 "Richard Dean Anderson Heading to NZ." The New Zealand Herald. October 3, 2014.